«The only professionals» illustrated quotation. Funny, free quote pictures for Facebook, Twitter, LinkedIn, Reddit, Pinterest and other social networks. 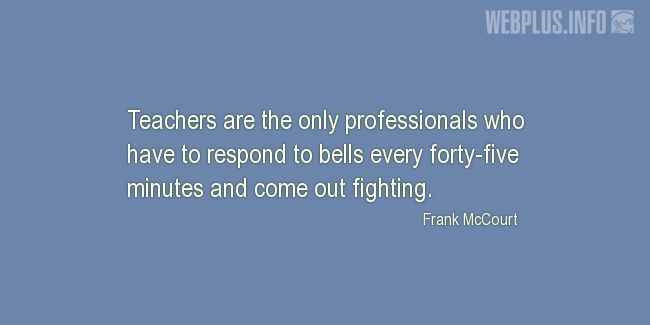 Teachers are the only professionals who have to respond to bells every forty-five minutes and come out fighting.